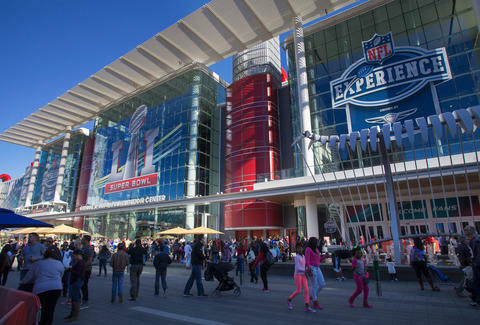 With an estimated 150,000 visitors pouring into Houston to witness the greatest comeback/choke job in Super Bowl history, it’s not surprising that Houston’s businesses -- especially restaurants and bars -- would benefit from an enormous influx of crowds. Though it’s debated by some economists, the NFL reports that a city hosting the big game will make around $700 million thanks to the event. With new city roads, updates to Discovery Green, and the opening of the Convention District’s new restaurant super block, Downtown Houston’s months-long city revitalization reinvigorated local businesses, providing a refreshing experience for both out-of-towners and native Houstonians. According to Upserve, a restaurant management platform, Houston eateries experienced a 31.5% increase in sales as compared to past weeks over the same Friday to Sunday period. The average Houston restaurant nets $14,484.39 in sales per weekend. On average, that 31.5% Super Bowl spike translates to an extra $4,513.32 for each establishment. While it’s great news for the city’s food service industry, the massive crowds also meant more work for the cleanup crew in Discovery Green. As one worker told The Houston Chronicle, “we can’t count” the number of trips made to empty all the trash cans in the area.